Send it to my house! A small batch whiskey with vanilla honey smoothness and a subtle oak finish. Light Vanilla, Butterscotch Sweetness, Caramel with a bright touch of Honey. Smooth Vanilla and the perfect touch of oak. Rich, full palate complexity with approachable sweetness, followed by honey dark stone fruit essence. Rounded out with Earthy grains. Comprised of the choicest spirits made in the USA. 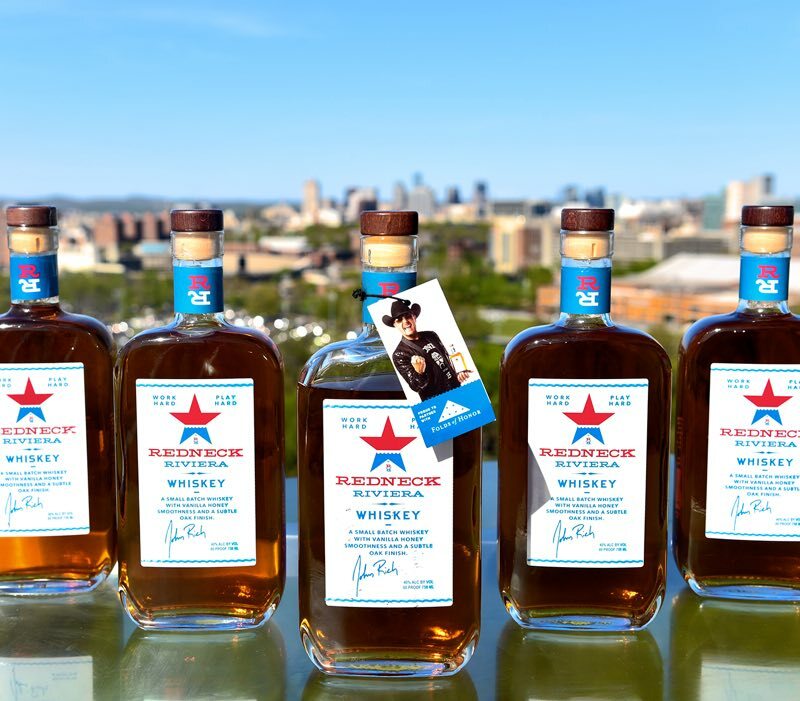 John Rich had a very specific flavor profile in mind and was adamant that the ingredients be all American. #DrinkAmerican. With those nuggets of information the West Coast team at Eastside Distilling set to work to create something reminiscent of Canadian Whiskey, yet produced right here in the good ol’ US of A! Hundreds of samples (and a few hangovers) later, Redneck Riviera American Blended Whiskey was born. The final test? Making sure that it could get past even the toughest whiskey critic, Granny Rich! We are proud to say that its certified #GrannyRichApproved..
My team and I worked tirelessly on the creation of Redneck Riviera Whiskey. I wanted an American blend like nothing else on the shelf, and that’s exactly what we got! 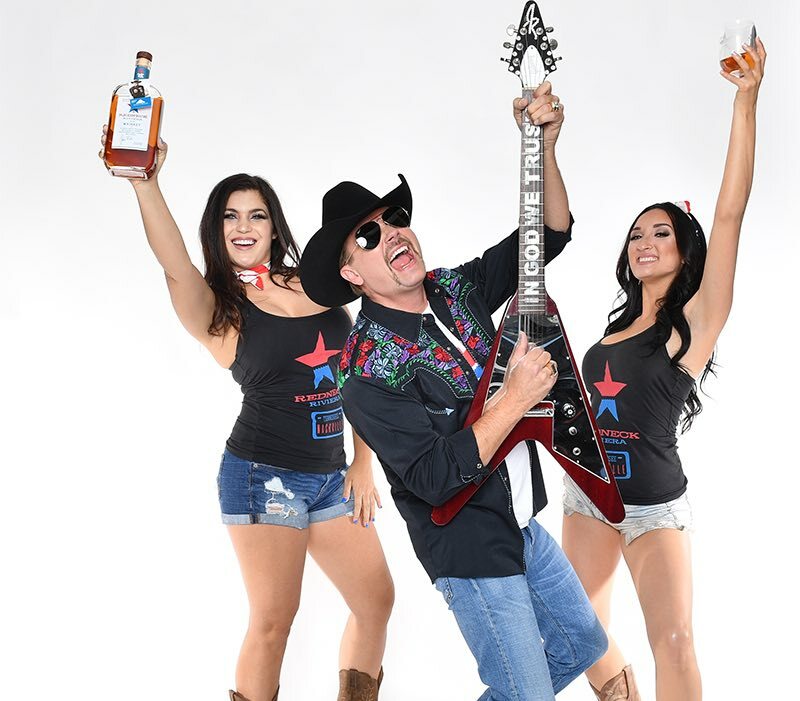 RR Whiskey is as smooth as it gets, and I’m proud to offer it to America’s ‘Work Hard, Play Hard’ crowd! 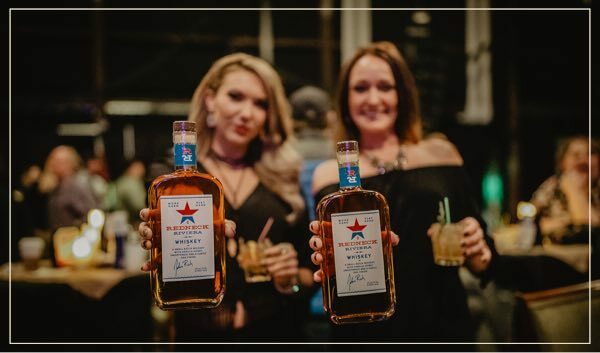 Artfully blended and produced in small batches, using only the highest quality ingredients, Redneck Riviera is everything you have ever wanted in an American Whiskey. It’s a taste of the “good life” in every sip. You’ve worked hard, now its time to play hard! The combination of mash-bills consisting of Midwest corn, a little malt and a little rye makes a damn fine spirit that’s good enough to shoot, sip or mix. We know what it means to work hard. And its important to also have a taste of the “good life” every now and then. Thats why we cut no corners in creating the finest American Blended Whiskey on the market. You deserve it! Find RR Whiskey Near You! Does this whiskey have corn? Yes. Redneck Riviera is a blend of two premium whiskies with the majority of the mash bill being corn. We believe corn makes the sweetest tasting whiskey. Where is Redneck Riviera Whiskey made? What is meant by ‘American Blended Whiskey’? American “blended whiskey” is a blend of two or more whiskeys and must contain a minimum of 20% straight whiskey (meaning the spirit is aged a minimum of two years and contains 51% of a single grain; corn, wheat, rye, etc.) Check out the back label of your bottle to see exactly what went into the Redneck Rivera blend! What is the mash bill of the whiskey? Redneck Riviera Whiskey contains many grains including corn, rye and malted barley. 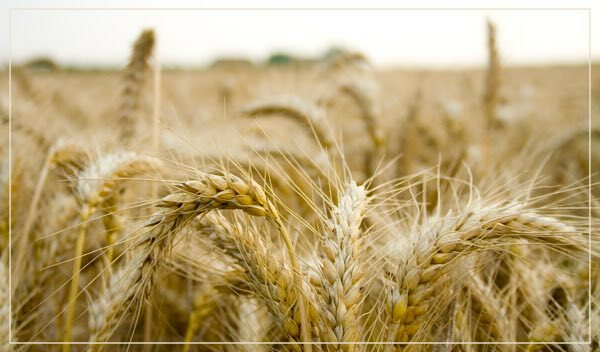 The exact blend of these grains is our secret sauce and is proprietary! Folds of Honor, what is that and what is the connection to Redneck Riviera Whiskey? I drink Jim Beam. How is this different from bourbon? I drink Crown Royal. How is this different/similar? Another great question! First of all, Redneck Riviera Whiskey is fermented, distilled and aged in the U.S. of A while Crown is produced in Manitoba, Canada. 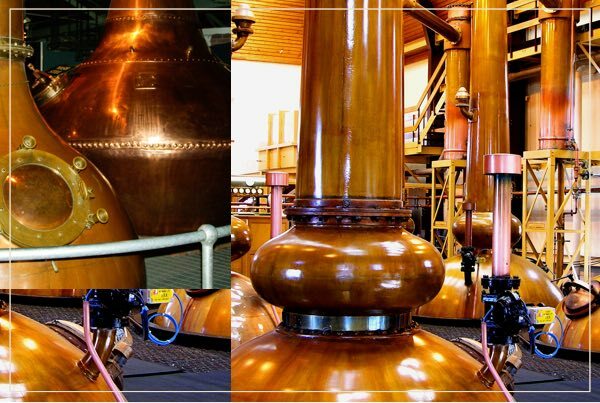 While similar to the lighter Canadian style, we think we’ve hit the nail on the head by producing a robust, smooth and slightly sweet whiskey without the hassle of importation. Try them side-by-side and tell us how we did! How should I enjoy my bottle of Redneck Riviera Whiskey? Where can I find Redneck Riviera Whiskey near me? Check out our Store Locator for retail and liquor store locations in your area. How did you come up with the flavor of Redneck Riviera Whiskey? We knew our research and development was over when Granny Rich said that it was good to go!